When former French President François Hollande announced at the end of 2016 that he, as the first ever sitting head of state in France to do so, would not be seeking a second term, most Parisians struck a sigh of relief. As Hollande was at that time already the most disliked head of state in the nation's recent history. But the extent to which French people disliked surprised even his political opponents on the right. A former security aide close to President Macron was caught on camera violently manhandling protesters during May Day demonstrations in Paris. Related coverage: <a href="https://thegoldwater.com/news/31787-France-Scandal-As-President-Macron-s-Security-Is-Filmed-Beating-Protesters-Video#31813 ">Macron’s security is filmed beating protesters - video</a>. 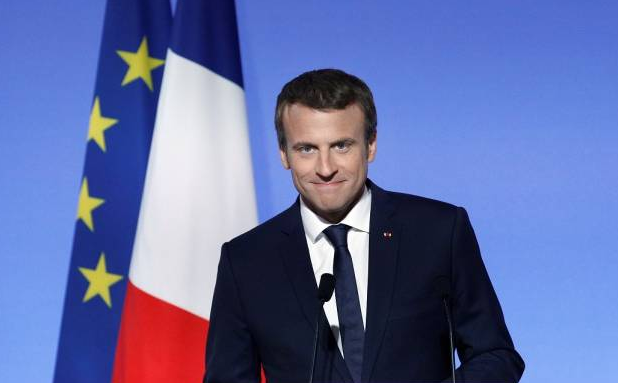 Mr Macron not only waited a few days before assuming responsibility for the scandal, he afterwards accused the media and his political rivals of blowing the affair out of proportion. Mr Macron’s wife Brigitte has been lavishly spending to decorate the Elysée Palace in Paris according to her taste. Related coverage: <a href="https://thegoldwater.com/news/28839-France-Macron-Attacks-Crazy-Amount-Spent-On-Welfare-Then-Buys-50k-Dinner-Plates">Macron criticizes welfare spending, then wife buys $50k dinner plates</a>. Lastly, ever since June of this year, speed limitations on French national highways (which are free) have dropped from 90 kilometers per hour to 80 kilometers per hour, leading to a whopping half a million French people having been fined with speeding tickets in a month. Of course the French could be driving on the ‘autoroutes’ where you are allowed to drive a maximum speed of 130 kilometers per hour but those are only available to anyone willing to pay ‘péage’ or toll. the online anger over this latest measure, claiming to create a ‘society for the rich only’ has been met with great fury. These three combined mean that Mr Macron faces another fall of discontent when he returns from vacation. Very true, but as also noted in my article about that dinner set (see related coverage), the company admitted that they had sold it to the Macrons for 50,000 whereas Le Canard would have been charged for 500,000.